Equivet Grazing Muzzle is a useful aid for horses who need to restrict their grass intake for example due to laminitis or overweightness. It allows unrestricted access to water still & doesn?t need to be attached to a headcollar. Equivet Grazing Muzzle can be adjusted in 5 different places to give the perfect fit. 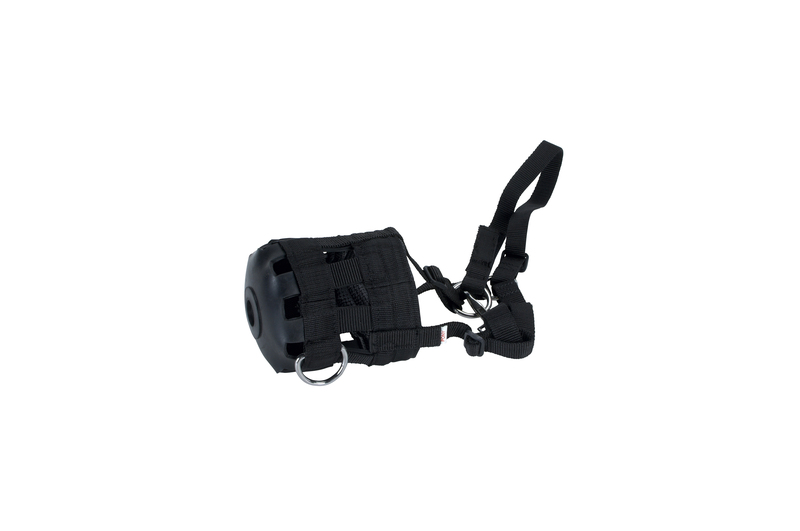 It does up with a velcro strap & has a ring to attach a leadrope to, if you wish to lead your horse using the muzzle.